van Iersel, L.J.J, Kelk, S.M, Stamoulis, G, Stougie, L, & Boes, O. (2016). 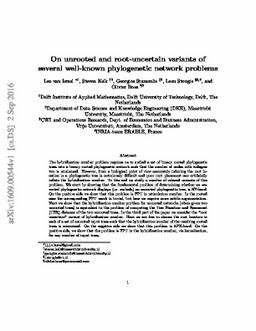 On unrooted and root-uncertain variants of several well-known phylogenetic network problems. CoRR abs.